Australia has a trade show or expo for just about every industry and product these days. And, whether you’re hosting a large-scale trade exhibition of 150 vendors or an intimate 10-booth show, there are a few ways to make sure it’s a success. The main goal of a trade show or expo is to connect buyers and sellers – helping exhibitors get a great return on their investment in your event. With some thoughtful planning, you can host an expo that not only benefits you but also your vendors and attendees, leaving them overflowing with praise. Look before you leap. If you’ve been to trade shows or similar events before, you already have a pool of knowledge just waiting to be tapped. You can also ask your clients what kind of events they go to and what they enjoy about those events. Alternatively, talk to your colleagues and get some insights from industry organisations and event sponsors. If you can, ask for data on past events, number of attendees and exhibitor participation. You can also look into trade show directories or talk to your local chamber of commerce and business groups. Once you’ve done some research, you’ll be in a much better position to decide on a theme for your event, how you want it to run, and what kind of exhibitors it will appeal to. The size of your venue will depend on the scale of the event you’re planning. And, the bigger the venue, the more space you’ll need to fill with exhibitor displays. However, not all trade shows need to be held in a convention or exhibition centre. If you have an event with some big equipment, or want to be more flexible with the location – why not try holding your expo in a one of our spacious tents? 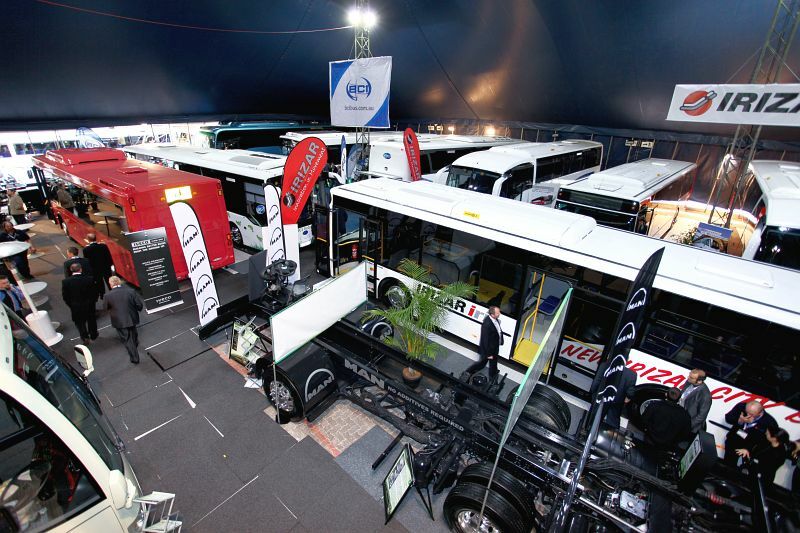 For example, the Moonee Valley Bus Expo (photo above) was held in our Regal tent. The organisers chose to host their event in one of our big tops because it provided easy access for their large displays – the buses themselves – and meant they could host it in a great location with plenty of parking. Using a tent also means your event can be self sufficient. You don’t need to operate within venue restrictions, so access and set up is totally up to you. Think about how you want people to move through the space and where you want your key points of interest to be. You’ll need to have a flexible floor plan to accommodate different types of displays or booths. Keep in mind that you can charge more for booths at the ends of the aisles and for those that will need more electrical outlets. When planning your layout, make sure you factor in the number of attendees expected for your event, so you leave plenty of space for them to walk between and around the booths or displays. Now you’ve got your theme, venue and layout, it’s time to start pitching to your ideal sponsors and exhibitors. Present them with the vision for your event and details about the overall setup. Show your vendors and sponsors how they can benefit from your expo or trade show and let them choose their space – emphasising that with more cost comes more exposure to their ideal market. 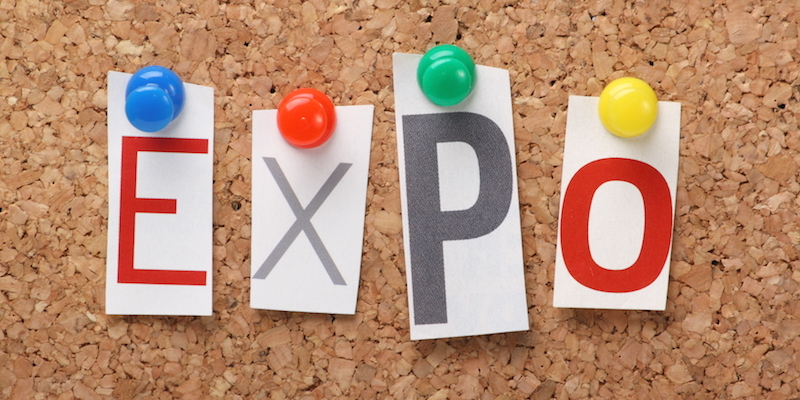 Planning a trade show or expo is no mean feat. It takes time and effort to plan and research, secure the best venue, organise your layout, and get exhibitors and sponsors on board. But, with careful planning, you will create an event that allows your exhibitors to connect with their target market in a unique and personal way – creating a lasting return on their investment that leaves them glowing with praise. What do you love (or hate) about trade shows and expos? Previous PostPrevious Planning a big Christmas event?